I couldn’t be more excited to be a part of what is evolving into something amazing, none other than Charcutepalooza. The brainchild of bloggers Mrs. Wheelbarrow’s Kitchen and The Yummy Mummy. A project of sorts that has dedicated the entire year to meat and charcuterie…Brilliant! 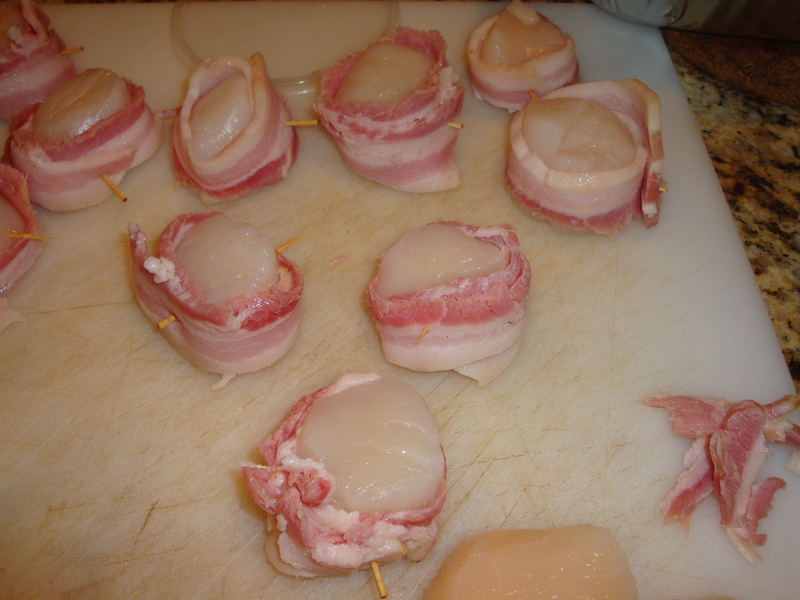 The second project was bacon which is something that I have blogged before. 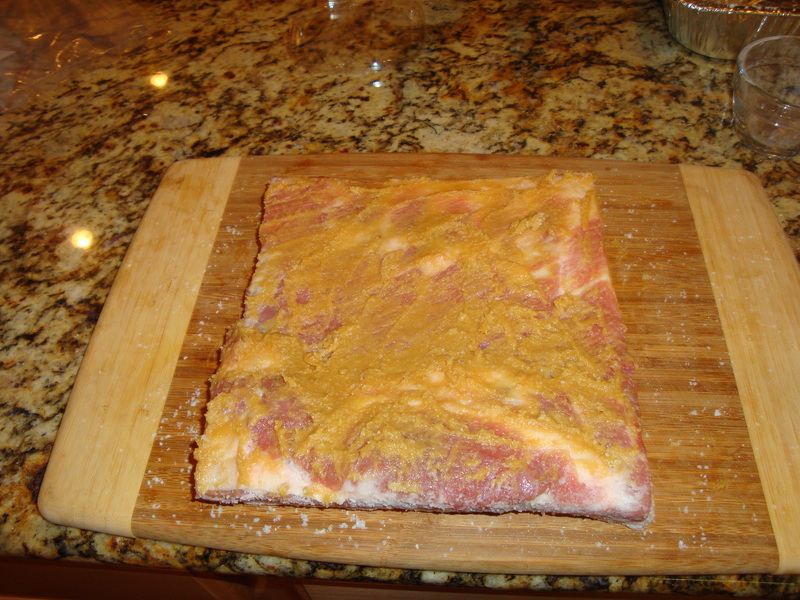 I decided to introduce a twist that has been on my mind and quite possibly yours too…Miso Cured Bacon. Miso is said to be an excellent ingredient that embodies the savory or umami taste, literally translated from the Japanese to mean delicious taste. 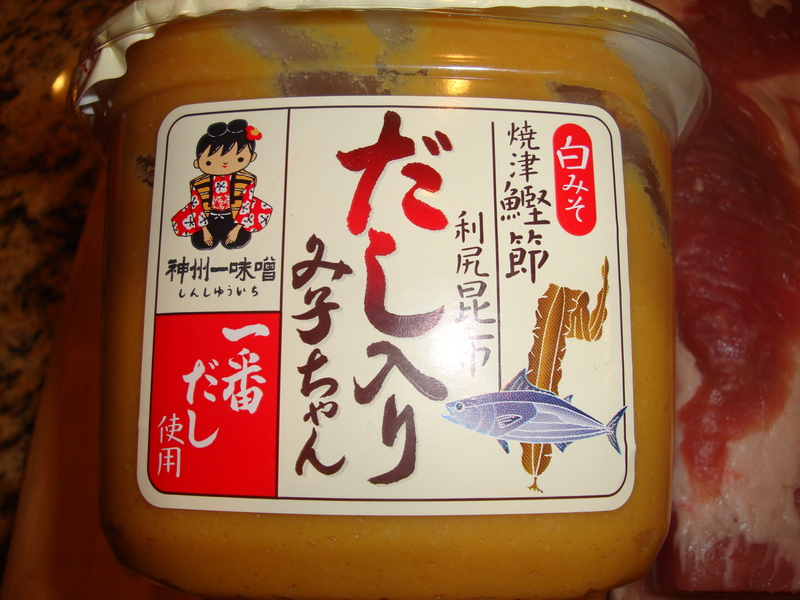 I was introduced to miso upon moving to Hawaii and enjoyed it many different ways. Miso soup is literally the Japanese version of chicken noodle soup and is pretty hard to beat. One of my greatest taste experiences is miso crusted butterfish…if you haven’t you must! 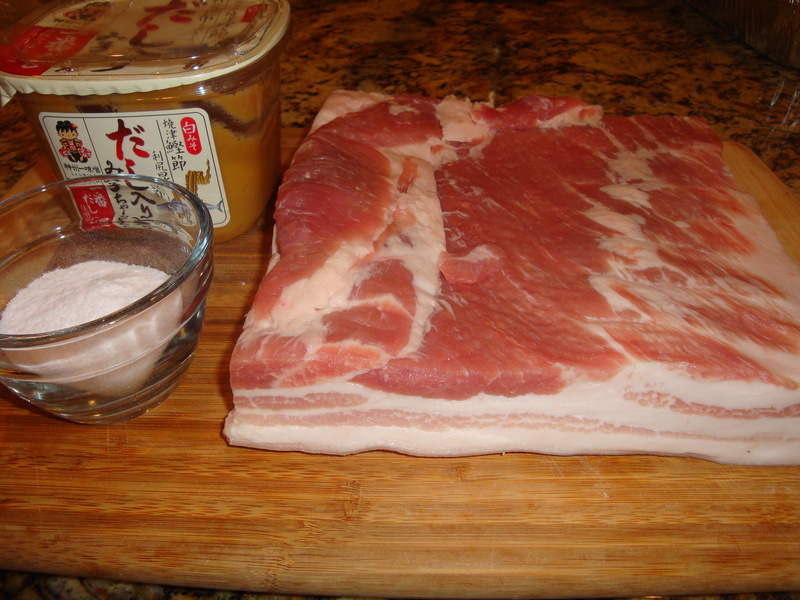 So why not mix miso with what is arguably one of the greatest food groups of all time, bacon. I began the process by making a trip to The Pork Shop. This place is awesome and only fifteen minutes from my house. I had special ordered a fresh 5 pound slab of Arizona’s best. When I got there I was surprised that they accidentally gave me a 10 pound slab which I gladly accepted (and paid for of course). 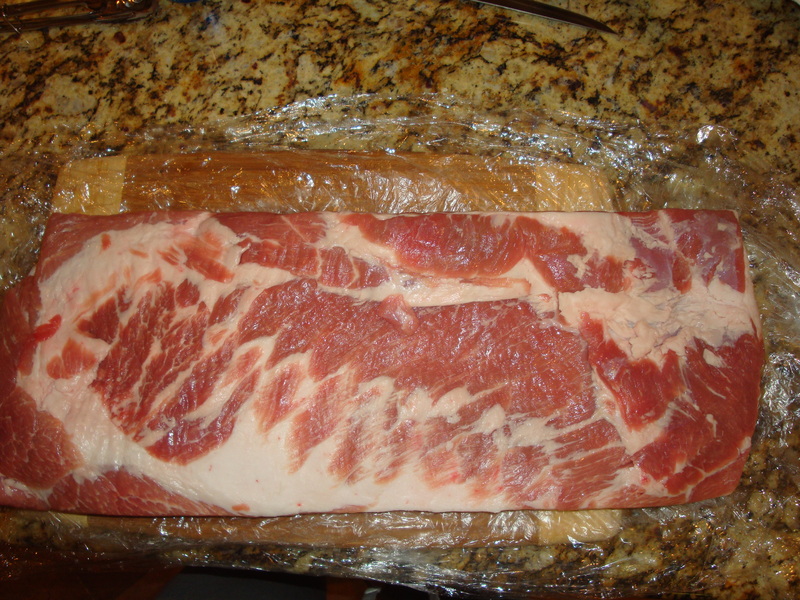 This was great as it allowed me to do a couple other pork belly projects that I have been nagging on me. 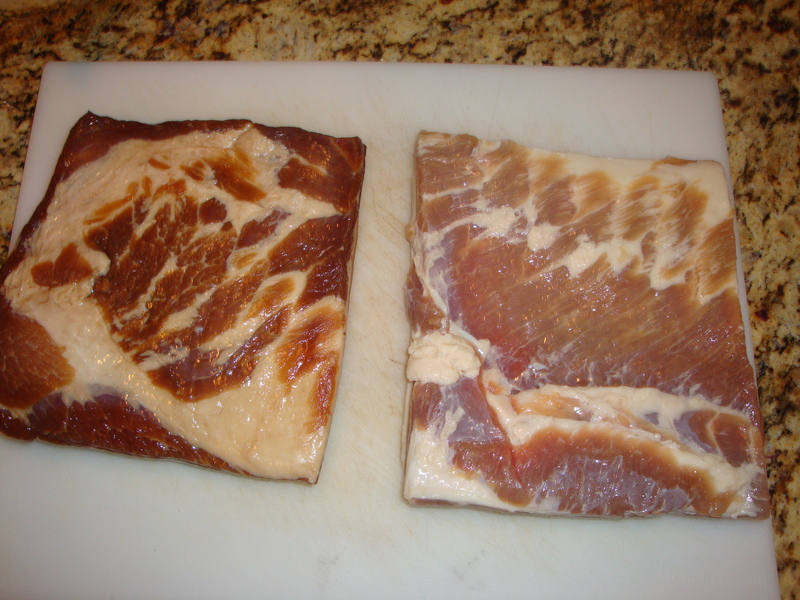 I decided to make a redo of the maple cured bacon in addition to my miso cured batch. 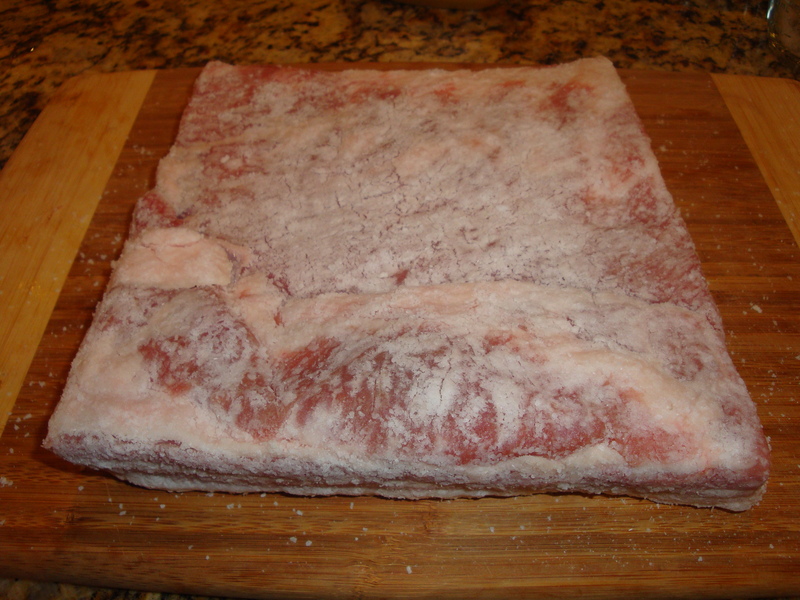 Both recipes start out with the same Charcuterie dry cure recipes. 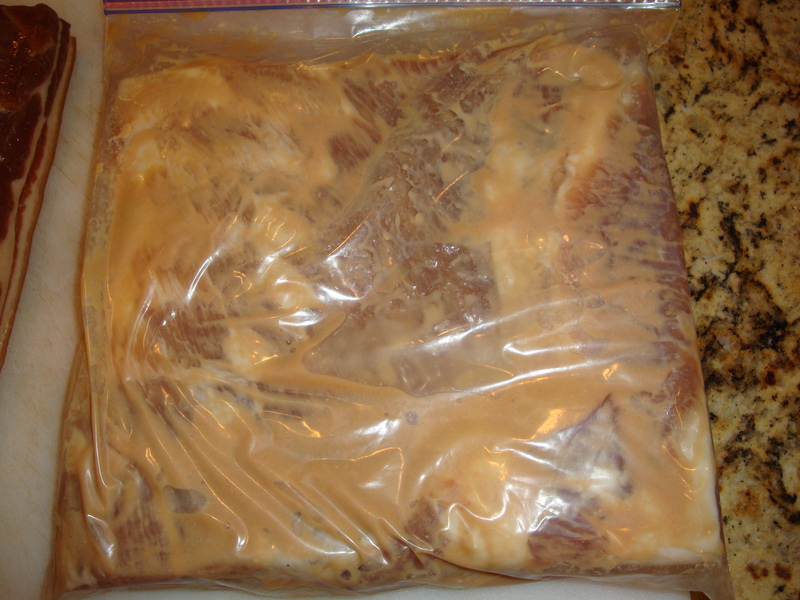 Once I had the pork belly nicely covered in the dry cure I smeared it thoroughly with the miso and slipped it into a large Ziploc baggie for a 9 day nap in Cureville. I wanted to give it a couple extra days to make sure the miso could work its magic. After the 9 days, overhauling daily of course, I pulled the two bellies and confirmed that they were nice a stiff and fully cured. Next, I thoroughly rinse both bellies and begin drying them while I turn the oven to 200 degrees. 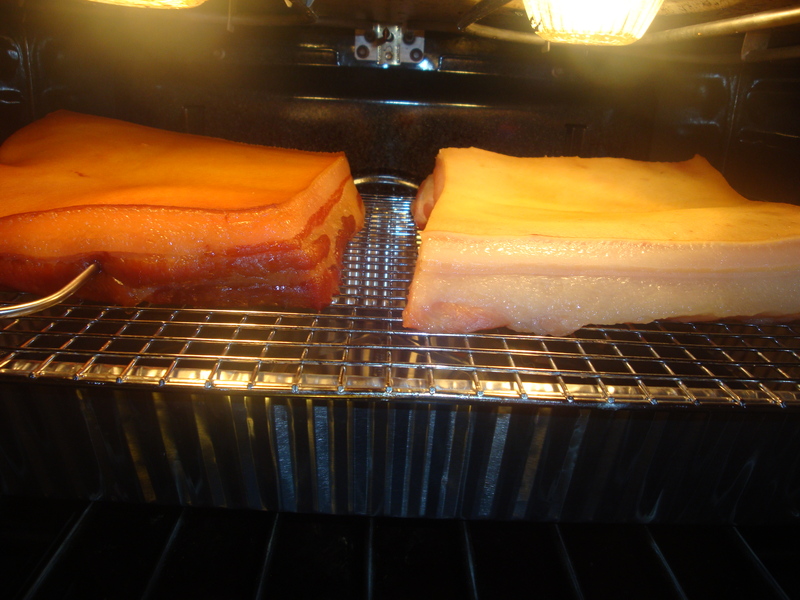 Once to temp I insert my thermometer and leave it in the oven until the internal temp of the bacon is 150 degrees. I find it easier to cut the skin off immediately after removing from the oven. I of course tried both slabs while still warm and was pleasantly surprised with both. I decided that I would go healthy being the health freak that I am I decided to do a salad. 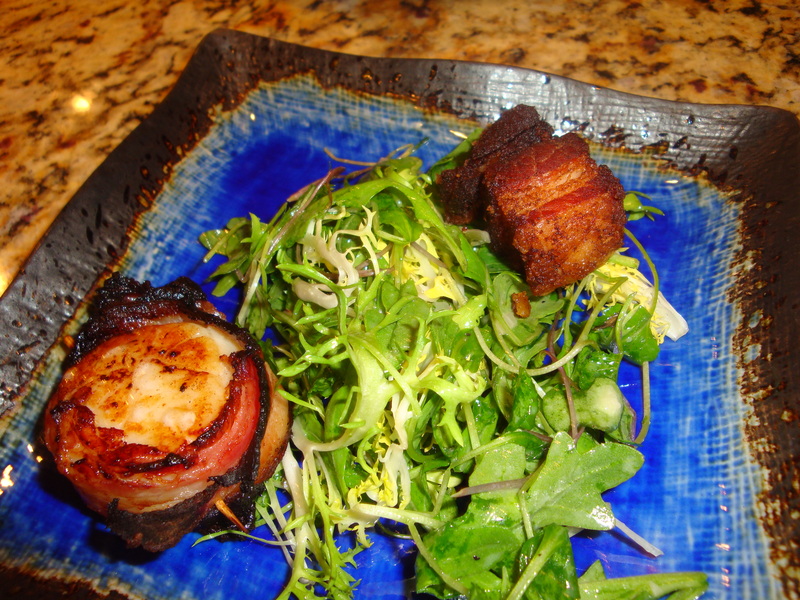 I used a nice mix of arugula and micro greens and a fresh head of frisee for the greens. Next, I whipped up the basic vinaigrette from the back of Charcuterie using champagne vinegar and fresh lemon which is abundant in Arizona right now. 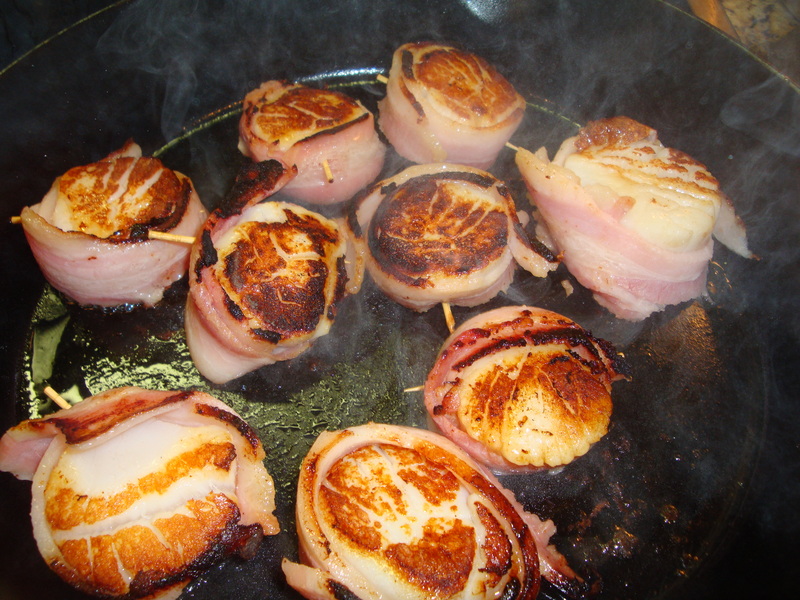 I wrapped some nice day boat scallops in the miso cured bacon and set them to sear in a scorching cast iron pan. Meanwhile I fried some cubes of the miso cured belly in duck fat as well…what the heck, right? GOLDEN!!! Now that is my kind of health food! I could eat salad like this every day!